WE'RE BACK! We are delighted to announce the 3rd Edition of BLAST OFF! Festival. 4 nights (and days!) of WILD, WONDERFUL and WAY-OUT entertainment, coming up in Nottingham, UK! BLAST OFF! 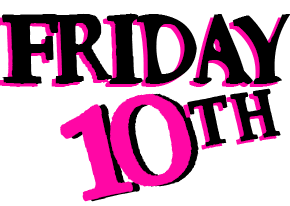 Festival is happening on the 9th, 10th, 11th and 12th November this year, and is going to be a BLAST!!! Yeah! a BLAST!!! 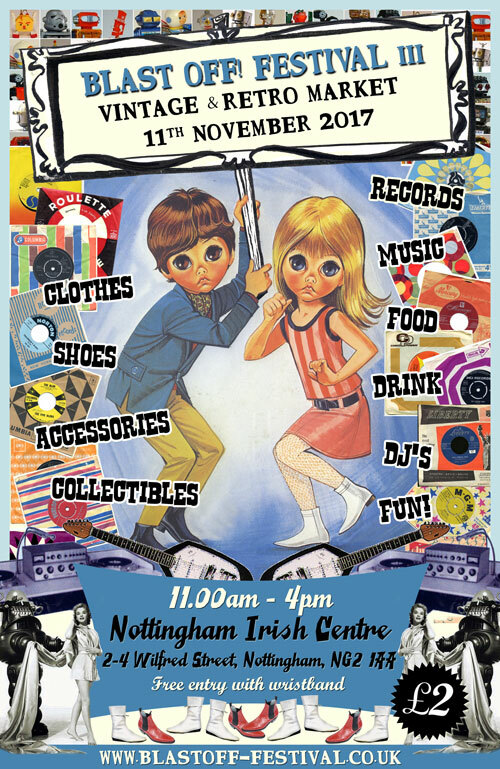 As previous editions, this swingin', stompin' shindig will be hold in the city of Nottingham, slap-bang in the heart of Britain, which means easy access for all you northern, southern, eastern and western garage loving deliquents, plus being dead close to East Midlands Airport for foreign fanatics! Once again we've lined up an amazing selection of international GARAGE, SURF, BEAT and ROCK AND ROLL bands, some you might already know, some you might not have heard - yet!!! 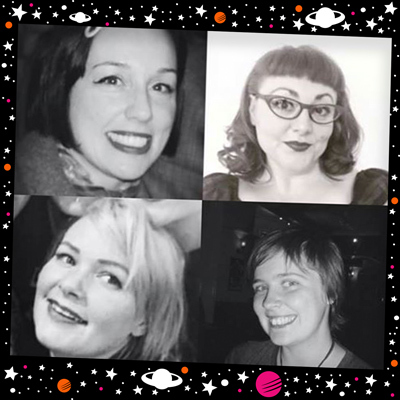 Check 'LINE-UP' page for the full shebang! Insane international and club guests - ALL-FEMALE dee-jays crew that will keep you entertained on the dance floor (pop your eye into DJ's page!) Dazzling Go-Go dancers, Off-beat movies and eye-popping visuals and MORE MORE MORE!!!! And because you might need to shut your eyes and put your bones to rest, You can find cheap hotel deals on our 'STAY' page. 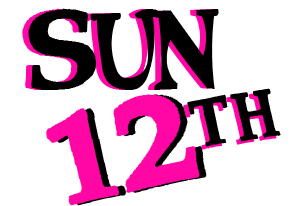 For the fabulous acts and delinquent entertainment check 'BANDS' and 'FUN' pages...but keep checking cause there's always something new! You can receive first hand news by signing up for our mailing list here!!! Weekend and Day tickets are on sale now, so hurry up and get yours now before it's too late! 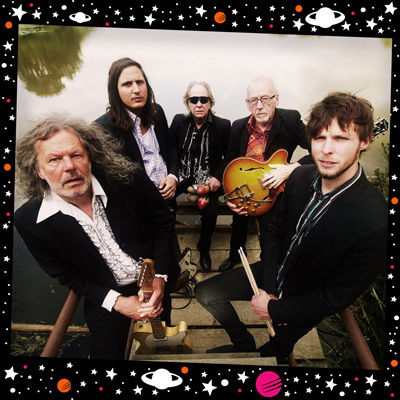 "This band needs no introduction...London band formed in 1963, the Pretty Things were a pure rhythm and blues band in their early years, with several singles charting in the United Kingdom, they later embraced other genres such as psychedelic rock in the late 1960s and hard rock in the early 1970s. Of all the original British Invasion groups, perhaps none were as underappreciated in the United States as the Pretty Things. Their first two albums, 1965's The Pretty Things and the same year's Get the Picture, as well as a brace of fine major and minor British hits (of which "Don't Bring Me Down" and "Honey I Need" were the biggest), featured first-rate original material and covers, and remain the group's most exciting and influential recordings." we advise you to have a look at their website! "This New York City-based psychedelic/garage rock combo played a large role in the mostly underground '60s revival during the 1980s. 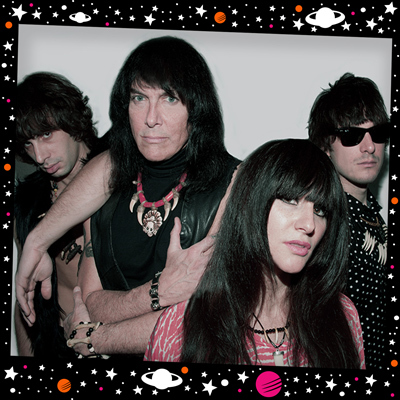 Led by the enigmatic Rudi Protrudi, the Fuzztones were one of the major "successes" (particularly in Europe) of the revival that flourished in 1984 and that also boasted the Chesterfield Kings, the Cynics, the Miracle Workers, and Plasticland. Their debut studio LP, Lysergic Emanations, was released in 1985. Thanks to a hugely successful tour of Europe the group built a loyal and dedicated fan base there, and one version or another of the Fuzztones has toured there regularly ever since. Their over three-decade career has yielded at least a dozen or more albums, countless singles, and several videos." "When the Sixties finally ended the band consisting of singer and lyricist Peter Daltrey, guitarist and songwriter Eddy Pumer, bassist Steve Clark and drummer Danny Bridgman were veterans of the forever changing revolutions and evolutions of that decade`s mercurial musical culture. Starting out as The Sidekicks in 1964, they played R’N’B to the amphetamine fuelled Mod circuit before transforming into fully-fledged London psychedelic dandies in 1967. Accordingly they renamed themselves Kaleidoscope. At the fin de siècle of the Sixties they morphed into the more aptly sombre Fairfield Parlour – before enjoying a side project as I Luv Wight especially for the Isle of Wight Festival in 1970 where they played on a stage also trodden that iconic weekend by such timeless acts as The Who and Jimi Hendrix." 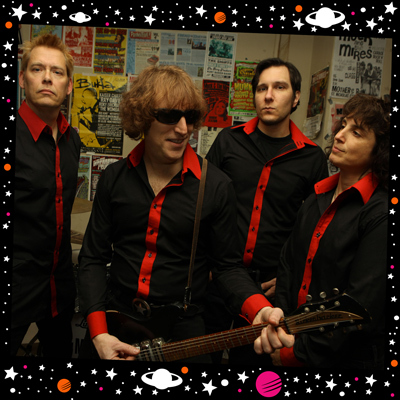 "Boston's International ambassadors of garage rock 'n' roll, have been described as a blend of the 1964 Beatles and the 1977 Ramones. Their songs are reminiscent of the 1960's British Invasion, all two minutes long and ALL POTENTIAL HITS, while their live show is a high energy blast of fast-paced, post-punk gritty garage rock and roll. 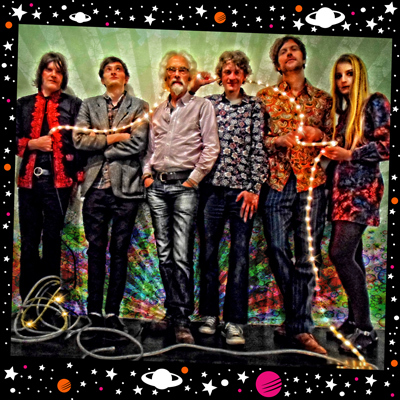 They have built a worldwide following through relentless touring, radio and satellite airplay and a string of recordings, produced by Kim Fowley (Runaways) and Jim Diamond (White Stripes), considered by many to be cult classics. The band has performed coast-to-coast in the USA, UK, EU, Canada & Japan. They've shared bills with many of their heros including THE SONICS, NY Dolls, Ray Davies (THE KINKS), Flamin' Groovies, The Stooges, and also (thanks to their wide appeal) with contemparary artists ranging from Pete Best (THE BEATLES), to Dave Mathews." 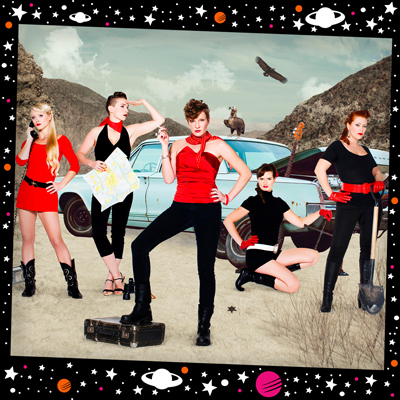 "Hailing from Oslo Norway the all-girl band are out with their fourth studio album, Getaway, a journey that will take you down roads of grovey garage rock, catchy powerpop and high energy rock’n’roll. The Scandinavian rockettes have been preaching the gospel of fuzz, fjords & frenzy since 1999 and have over the years more than 200 shows, in both Europe and USA, under their belt buckles. The band has also released several critically acclaimed records, and many of their limited edition vinyl releases are consider being collector’s items. Since 2007 they have been a part of the Steven Van Zandts happy rock family at Wicked Cool Records. In their time there they have had the opportunity to do big festivals, as for instance, Hard Rock Calling in London. And they have had songs featured in tv-shows for both MTV and ABC, and also in a worldwide commercial for Nike. Their new album is inspired by the cult novel The Killer Inside Me (1952) by Jim Thompson. The band has always had a cinematic feeling to their songs, so they made a spin off story to the original book by Thompson. So the record is the soundtrack to the movie that is not yet been made. Musically they are taking you down a dark and gritty road, into the desert of Texas and at the same time the dark corners of the human mind." 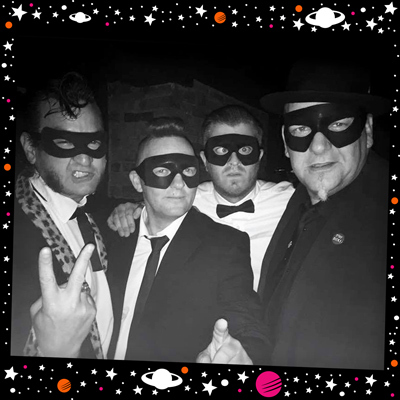 "The Fuzillis.... one word instr-o-mentals, rowdy saxes, raunchy guitars, and a wallet full of atomic age twist and grind a go-go tunes. A four man tag team featuring the atomic powered geetar twang of Dan Martin Jr, the rootin' tootin tenor sax tones of T-Mag Maguire, the thunderous jungle rhythms of W J Oake III and the boss of the bass, Mr Frankie Fuzilli. Where Link Wray and Las Vegas Grind collide with Grady Gaines' Upsetters and The Fabulous Wailers by way of Nick Curran and Spike Jones. 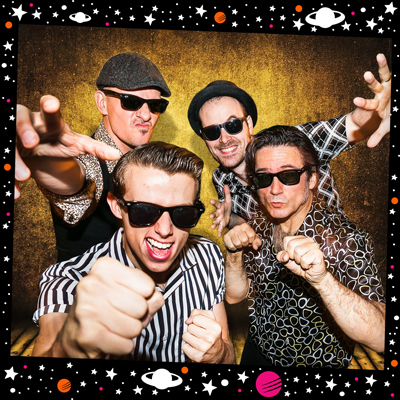 The Fuzillis... atomic age raunch'n'roll with a twist... you'll dance till your toes bleed. "From Cagliari, south coast of Sardinia, Italy, with black and white striped turtleneck sweaters, Vox & Mosrite guitars and sunglasses, the Hangee V absorp you in a timewarp to the garage-carnival of the mid 60s. A full-on repertoire of garage-punk surf fuzz-buzz drenched with sixties organ fills and reverb surf instrumentals." 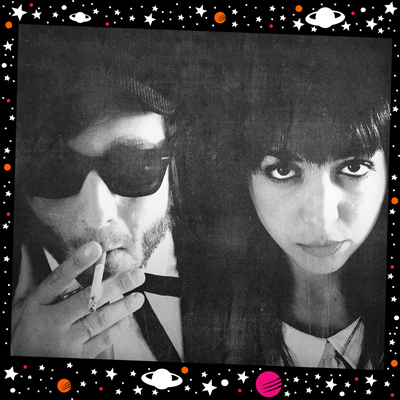 "The Courettes is thee new garage rock duo from Brazil and Denmark. It's savage! It's dynamic! A blast of Jungle wildness & Scandinavian rock 'n' roll! ‘Riot grrrl in the garage’ Flavia Couri will blow off your mind with atomic fuzz guitars and screaming raw vocals, and ‘Beat! Beat! Beat! man’ Martin Couri will make you s-s-shake with his loud as hell drumming! With a few albums released the band has been praised by some of the most important music journalists, like David Fricke (Rolling Stone) and Kieron Tyler (Mojo). They have extensively toured Europe, so, Come and check them out before they fly throughout the world... and the galaxy!" 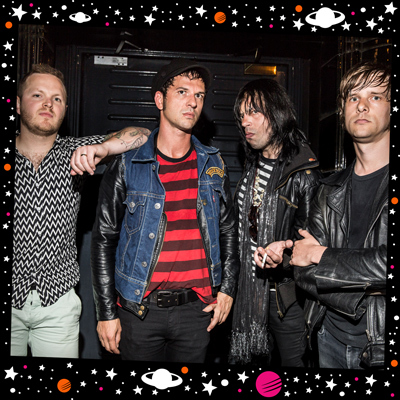 "A post-modern Garage Rock nightmare combining demon raising surf and punk guitars with furiously delivered tales of fright and horror, hate and love, life and death delivered at face melting pace by the best-dressed mess in the UK. 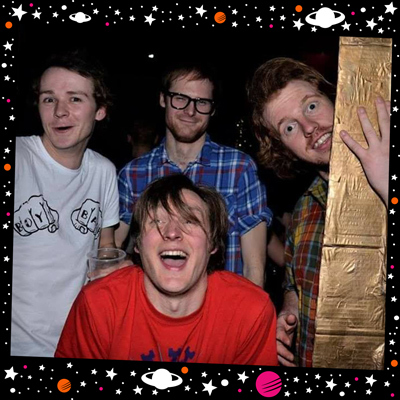 Hailing from Nottingham UK, this hyperactive band since formed in 2007 have consistently toured the UK and vast parts of Europe; they have also received radio airplay on: BBC Radio (various cities), Spanish Radio 3, Portugal Antena3 and Nottingham Trent FM. They have also been played on many podcasts throughout the world. They are not linear. They do not follow the limited rules of old records. Instead they take a leap forward with ingenuity and create a fortress of a sound scape representing an impenetrable wall of sound that Phil Spector himself would be proud of." "We're taking control, as you sell us your soul"
"Former teen sensations from small market town, capital of the Peak District and home of the Pudding - Bakewell - The Hipshakes have been friends since before they can remember. They bought instruments at 15 and have played together ever since, with singles and LPs out on Goner, Slovenly, Art For Blind, Crocodile and many more! As individual people they are imperfect, but as a collective they create a sprawling polymath that takes in art, design and geoscience: whatever you need, they got it covered! Their combined age - which upon formation was a meagre 45 - has crept up to 115 with the addition of age and an extra member. That’s some serious life experience right there, and boy does it show with their seasoned, skillful and sophisticated songcraft. Everyone writes songs and everyone sings them. 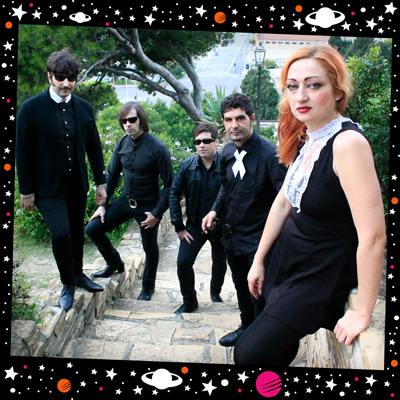 Live, they are a ferociously exhilarating, mega-mondo smash-hit pop-fountain, and have shared the stage with the cream of the garage punk crops of the last ten years. Don’t be bamboozled by the shiny, soulless and insipid music of a brand new band - outlast the apocalypse with the tried, trusted and true tunes of garage rock cockroaches The Hipshakes." "KINGS OF HONG KONG formed in 2014, playing surf garage rockabilly and trash with a punk attitude. Two self produced albums - 20000 Drum Beats and Strange Thing, covering the live sets put together from gigging. Strange Thing is now available in vinyl from Trash Wax. The band toured France, Germany and Spain, and had many performances at Bedlam psychobilly festival. Articles on national magazines Vive Le Rock and new album underway ready for 2018! Rock n Rolla!!! Trash merchants from hell!!! "Thee Dagger Debs are three girls brought together by their love of 60s garage, British R’n’B and 70s proto punk and pub rock. Chiswick records, Eddie and the Hot Rods, The Stranglers, Slade, Thin Lizzy, Dr Feelgood and Nine Below Zero -to name a few of their influences- always feature heavily in their record boxes." 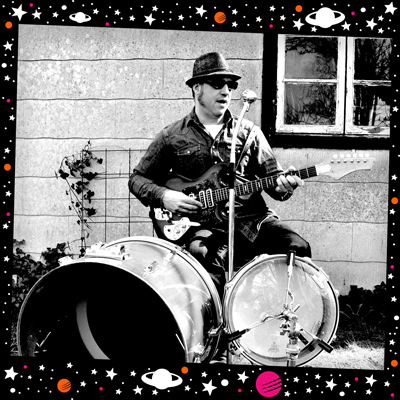 "From the deep south of Sweden comes the stompin' blues - trash of Leadfoot Tea one man band! Taking the primitve sounds of 50s trash and rock'n'roll and mixing it up with blues trash the end result is something Hasil Adkins could boogie to." "Certainly old enough to know better, Thee Girl Fridays play a mixture of gimmicky girl-gang garage-punk and googly-goodness-good-time-rock 'n' roll with added twang - and that's not just from their guitars! They aim to bring big knickers back, and if you're lucky enough to see them live, you may even catch a pair.."
The heartbeat behind this massive shindig, she grew up in Portugal listening to her mums rock and roll 45’s and realised at an early age that music was her path. 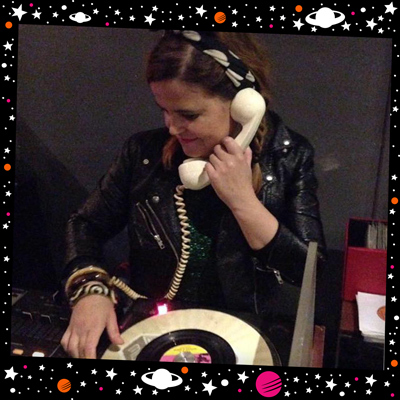 She’s been a wildgirl on the vox continental for many bands and besides being a passionate music lover DJ she's also a Record Producer. 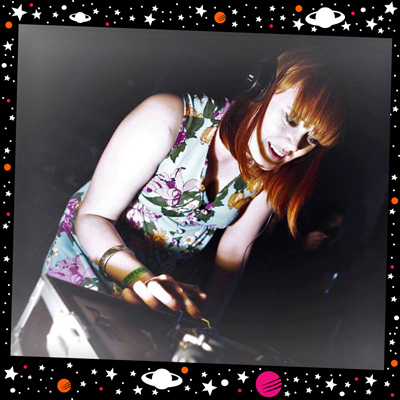 We could find her very often behind the decks at Rough Trade Nottingham and other remote locations! 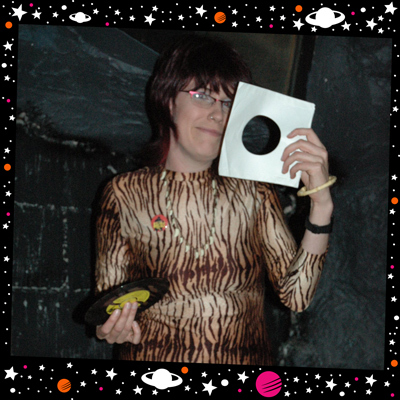 Spinned her vinyl at Mojo Weekend (Norway), Munster Raving Party weekender (Spain), A Wamba Buluba Club (Barcelona), Bassy Club (Berlin), Sonic Ballroom (Cologne) to name a few... In the daytime she keeps busy as the head honcho of the fantastic Dead by Mono Records! She likes the shinning stars in the sky and sometimes she wishes she could live under the sea! Wild vinyl spinner Kitty B Shake, electrocuted by the home turntable on her 4th birthday, whilst spinning cult freakbeat 7″: “ Tippy, il coniglietto hippy ” BEWARE !! she’ll make you blood pressure rise high with her stomping freakout records and spin you heart bonkers! Shake it, slash it open and splash it on the ballroom ﬂoor with that shakin’ R&B and those desperate teen garage beats!! 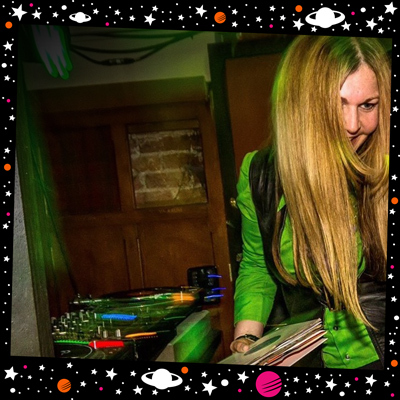 Then… she’ll set a few psych gems on those levitating turntables to launch you into otherworldly realms and reincarnate you into a psychedelic butterﬂy or a big fuzzy spider on acid!! 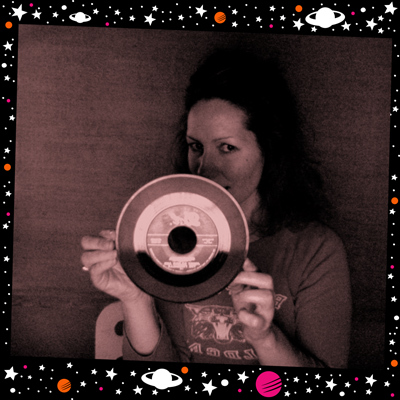 Kitty has got kids shakin’ to her sounds all over Europe and across the Seas, including the Ponderosa Stomp (US), spinning with the heroes of the most obscure music you never heard! Liz Lava has been head honcho at Leicester's mess of a club night: The Lava Lounge, since 2005. Providing a stupid soundtrack for the swinging shenanigans, she cooks up a delicious sloppy stew of cheese, sleaze, grease and trash. She never plays her records at the wrong speed, has impeccable manners and apparently always smells nice. The Beat Mermaids are an all female DJ collective from Copenhagen Denmark, collecting and playing sixties 7inch records that make you wanna dance on the tables and shake all night. Their record boxes are packed with an exquisite mix of fuzzy garage stompers, psych-dancers, r'n'b shakers and YeYe movers. This glamorous trio is playing regular DJ nights in several Copenhagen hotspots, making the crowd go wild and berserk. The Beat Mermaids have also been spinning records at different events, clubs and festivals including Club Get Lost (dk), Beat Circus Festival 2015 (dk), Lygtens Kro (dk), Brass Monkey (dk) Tequila Twist (se), Ode To Joy (se), Gutter Island 2016 (dk), Garageville Festival 2017 (Hamburg). I love to: shimmy and shake! Tracey ScreamCheese fuelling the minds of Fuzzed up Freaks. Playing a Hip-shaking obscure delight of 60s Garage, Psych and Freakbeat. In recent years she can be found with the Frat House crowd in Bristol, Frat Cave Beatsters in Hastings, The Sensateria Pyschedelic club in Birmingham, The Way Out bikers at The Trip Out and other Wyld establishments all over the country. Leah is 26 years old. 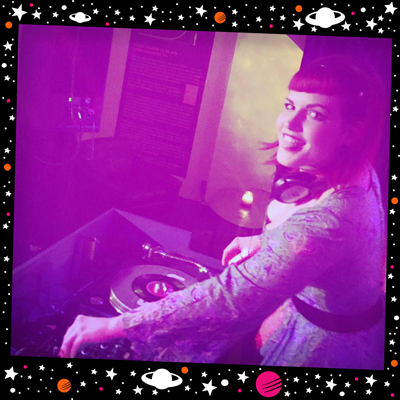 She started djing at 22 with a few of her dad’s old records and some from her own collection. 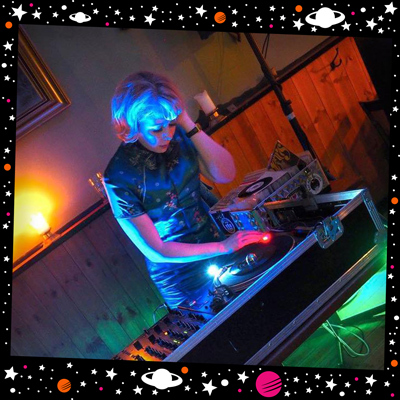 It was at “Terror in Tinsel Town”, a charity gig held at the Maze in Nottingham, that for the first time she got behind the decks, and with a little help from Mr. Craig Simpson (Hoochie Choochie Club) she’s been able to show she’s got attitude! We can very often find her sharing the decks with friends Simon Jackson and Ricky Bean at Go Go Gorilla, in Sheffield. 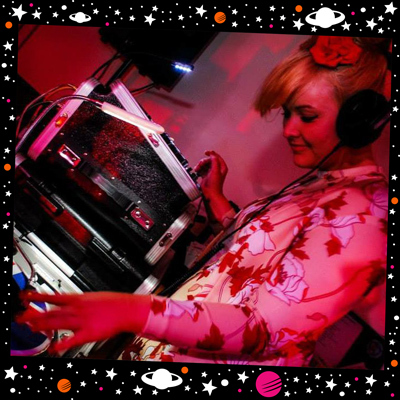 She has been DJing at various regular club nights held in Sheffield such as, The King Bee, Jive Juice and Boneshaker. Her record collection is reflection of her good taste in music and consists of a range of Garage Punkers, Rockabilly rockers, Rock n Rollers and R & B’s, not to tell about those Mexican and Indonesian fillers and calypso beaters! We will certainly see her on the dance floor too because she loves to dance. Nottingham is an easily accessible city, close to several airports and with excellent road and rail links. East Midlands Airport, served by low-cost international airlines, makes the city easily accessible from other parts of the world providing daily services to many principal European destinations such as Paris, Frankfurt, Berlin, Dublin< Oslo and Amsterdam, international flights to Edinburgh and Belfast and limited services outside Europe. For more information on destinations and airlines, click here. You can easily get to the city centre from East Midlands Airport on Skylink busses, just outside arrivals; or train from the new East Midlands Parkway Station. Or check the taxi companies for reasonable fares from and to EMA airport. Birmingham International Airport is about one hour’s drive away and about 2 hours on the train, providing flights to almost all principal European cities, New York, Boston, Toronto, and Montreal. For more informations on destinations and airlines. Nottingham has fast direct train services to London, Leeds, Birmingham, Leicester, Lincon, Manchester, Sheffield, Liverpool and Norwich, as well as many other towns and cities. For cheap fares try Megatrain, or for other alternative fares check National Rail. Nottingham’s Bus Station links the city to the world, and you can get a seat on National Express for £7 if you book with plenty of advance, look for fanfare tickets! If you are travelling by car from the M1 (North or South) just follow the Nottingham signs! Dead easy! It’s not hard to get around town while you are here: there is a good tram and bus service that run all night, although you can walk almost everywhere! Here are some places where you can rest your skeleton after an all night shaking party! All these suggested accommodation are central and not to far away from the venues. Nottingham is the greatest city in the East Midlands, right in the middle of the country – which is very handy for you people travelling from all over the place. It’s most famous for a man in tights – Robin Hood, his merry men and the Sheriff of Nottingham, but there’s much more to the city than lutes and green tunics! The city was known as Place of Caves in Anglo-Saxon times, with people living and working in the many caves that pepper the city. It’s also reputed to have 2 girls to every man, although we’ve never seen any evidence of this! Maybe all those extra girls are hiding in the caves. If you have time between the revelries, check out some of our favourite bars, shops and restaurants. The venue is located in the trendy area of Hockley in Nottigham City Centre. No car parking available on site but there is a carpark at only 2 min away. Only 200 passes allowed at a time at this venue! This venue is located next to the canal only 10 minutes walking from the city Centre, from the train and bus stations. It is as much a part of Nottingham as Robin Hood as it has built a much-respected reputation for live music, shows, and club nights. No car parking available on site but there is one 5 min away walking. 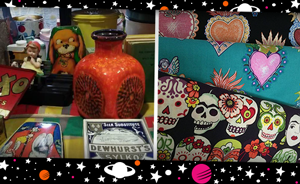 Record and music, vintage clothes, accessories and homeware, lowbrow art, tasty food, booze, cups of tea & much more! 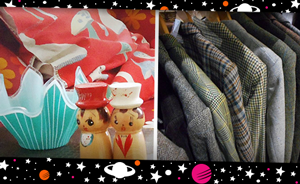 Bargains galore, fantastic finds and rummaging aplenty! 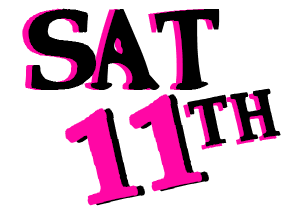 11:00am - 4:00pm open to festival goers & general public. 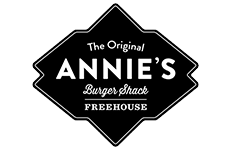 Free admission for weekend wristband holders. To book a stall at the market or at the evening events, please fill in the application here.